Our Bed and Breakfast is on two levels in a beautiful building which has undergone a complete restoration that has brought to light the beauty of the details respecting the original architecture. The area is quiet and peaceful and is ideal for those looking for a casual yet comfortable and welcoming . For a romantic weekend for two, groups of friends or families. We are waiting for your weekend in Italy. Civita di Bagnoregio is only 900 meters from our Bed and Breakfast and is easily reached on foot by walking for 15 minutes. Crossing the bridge to get to Civita di Bagnoregio is enjoys a characteristic of the Valley of the Badlands. 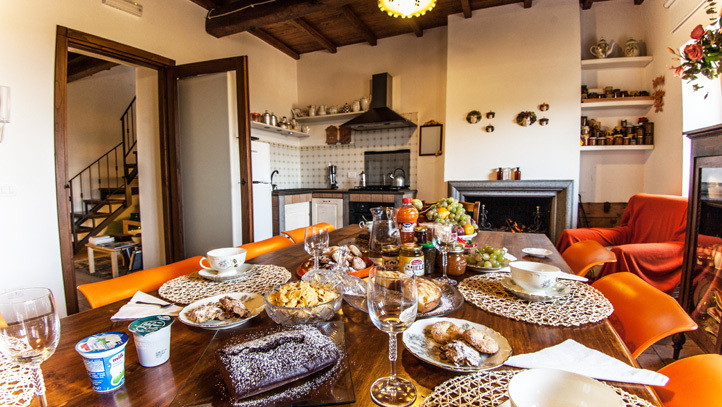 See you at the Bed and Breakfast Prato to pass one or more days in relaxation.